Candidates spent a last full day of campaigning around Ohio on Monday before voters select a new governor and decide a U.S. Senate race and some closely contested congressional seats. 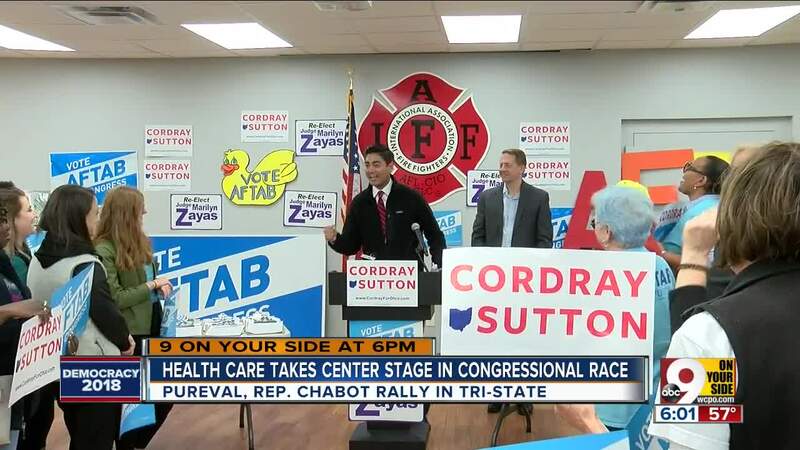 COLUMBUS, Ohio (AP) -- Candidates spent a last full day of campaigning around Ohio on Monday before voters select a new governor and decide a U.S. Senate race and some closely contested congressional seats. Cordray is locked in a tight gubernatorial race with Republican Ohio Attorney General Mike DeWine, a former U.S. senator and lieutenant governor who's one of Ohio's most well-known politicians. Cordray previously served as Ohio attorney general and director of the Consumer Financial Protection Bureau. Mandi Merritt, a spokeswoman for the Republican National Committee, criticized Democrats for rolling on Holder and Legend in the campaign's final days, calling Holder a "controversial Obama alumnus" and Legend a "west-coast rockstar" in a statement. She said voters should ask "do we want to move forward with Republican results, or do we want to move backward with Democrat resistance." GOP President Donald Trump was scheduled to appear with DeWine and his wife, Fran, at a get-out-the-vote rally at Cleveland's I-X Center later Monday. Republican Ohio Gov. John Kasich, a vocal Trump detractor, was out of state and not planning to attend the Trump rally. He had a line-up of television appearances scheduled, beginning with ABC's "The View" and winding up with Comedy Central's "The Daily Show with Trevor Noah." DeWine embraced Kasich's backing last week at a joint rally and in an ad, as what was initially touted as an unbeatable Republican ticket with running mate Jon Husted, the secretary of state, has struggled to pull comfortably ahead in polls. Republican U.S. Rep. Jim Renacci also was slated to appear at Trump's rally in Cleveland on Monday, in his bid to unseat Democratic U.S. Sen. Sherrod Brown, who polls have favored to win. In a closely contested U.S. House race in central Ohio, Democrat Danny O'Connor and former GOP state Sen. Troy Balderson were making their final pitches to voters in a rematch for Ohio's 12th District. 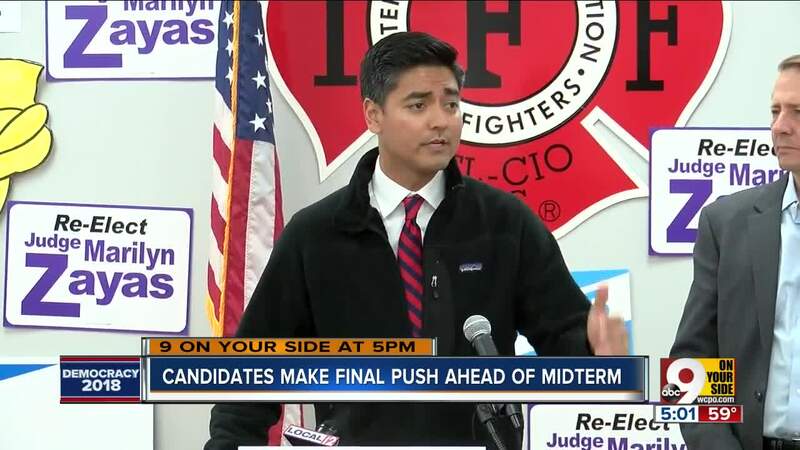 Democrat Aftab Pureval, the Hamilton County clerk of courts, was challenging GOP U.S. Rep. Steve Chabot in the 1st District in southwest Ohio. One of the most-closely watched races in Greater Cincinnati is for Ohio's first district congressional seat. Incumbent Republican Steve Chabot is facing Democrat Aftab Pureval, the Hamilton County clerk of courts. Both sides in the bitter campaign have been pulling out all the stops. Their have been extremely negative ads. Their debates have been filled with charges and countercharges. They've also both brought in big names to help them. Chabot joined the president on stage at the Warren County Fairgrounds last month. On Sunday, singer, songwriter and actor John Legend appeared in Norwood for a "get out the vote" rally for Pureval and other Democrats. Pureval supporters rallied Monday in Queensgate before going door-to-door seeking voter support. 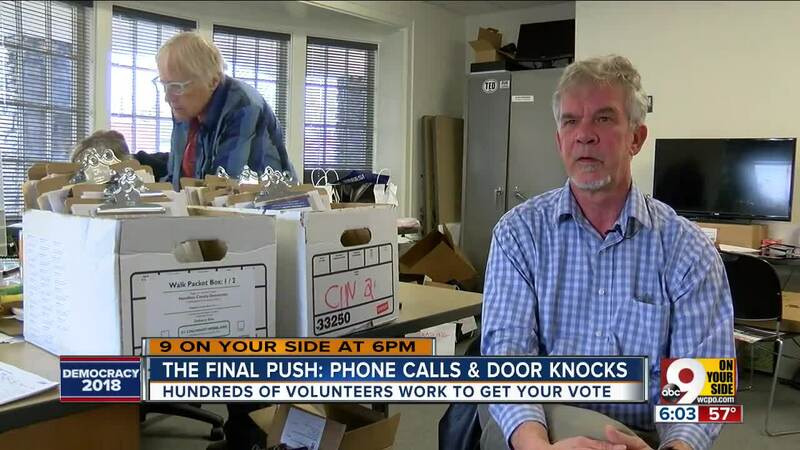 Hamilton County Republicans were also going door-to-door for votes. "Studies show that people make their decisions really late in the process, especially in some of these down-ticket races like judicial races and local county races, so we want to make sure we have a final chance to sell voters on our message as they walk into the polling location," Hamilton County Republican Party Chairman Alex Triantafilou said. Many people have also made their decisions early. "We're seeing a big early vote turnout this cycle from both parties," Triantafilou said. There's something going on out there. This president, he brings out passions on both sides." In Hamilton County, the board of elections had processed more than 22,000 voters for in-person early voting by the end of Sunday. On Saturday, the line was wrapped around the building. "Our numbers for in-person absentee voting have dramatically increased," Hamilton County Board of Elections Director Sherry Poland said. "These numbers are closer to what we typically see in a presidential election, compared to a midterm election." 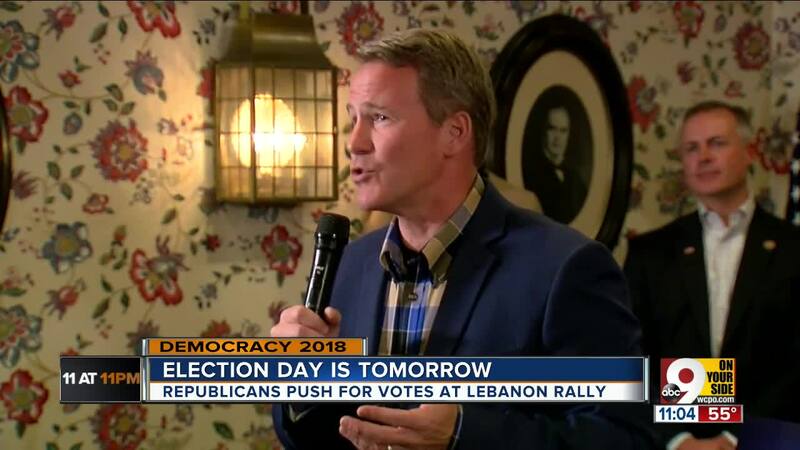 Husted's office reported an estimated 1.2 million absentee ballots had been requested and more than 737,000 absentee ballots cast as of Wednesday. That's a 36 percent increase in requests and a nearly 60 percent increase in absentee ballots cast over 2014, the last time Ohio elected statewide officeholders. A panel of federal judges ruled last week that Ohioans removed from voter registration rolls for not casting ballots over a six-year period will be able to participate in Tuesday's election. 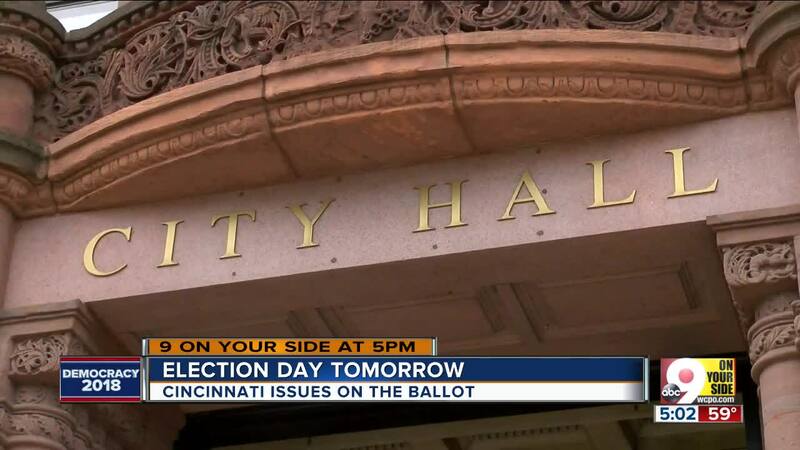 Greater Cincinnati voters will also decide numerous local races and ballot issues Tuesday. Voters in Hamilton and Warren counties will see two names on the ballot for Ohio's state board of education. Incumbent Pat Bruns has been on the board since 2015 and is a retired art teacher at Northwest Local Schools. It's a nonpartisan race, but she's endorsed by Democrats. She's on the report card and graduation reform work groups. "We're doing a lot of great reforms," Bruns said. "We're moving away from the 'No Child Left Behind' excessive testing and overreaching regulations to 'Every Child is Our Future,' treating each child as an individual with special needs and services." Bruns is being challenged by retired language teacher Jenny Kilgore. She's the current vice mayor of Glendale and is endorsed by Republicans. "I am running because I believe that more power should be funneled down to the individual school districts," Kilgore said. "The communities, the residents of the communities that support the board of education in the district and the school in their district with their tax dollars, should have more say about what takes place within the school environment." In parts of Butler County, voters will see three names: incumbent Charlotte McGuire is running on local control. Army veteran Matt McGowan said he wants to represent parents of public school children. Madeira native Dawn Wojcik wants to fight school rankings based on testing.